CHRISTY BURKE IS considering joining the Independent Alliance being set up by TDs Shane Ross and Michael Fitzmaurice. Last week, Dublin’s Lord Mayor said he was interested in teaming up with Fitzmuarice but not Ross. He told this website Ross seemed like a “nice” person but said his policies were “too right-wing for me“. However, since Ross and Fitzmaurice announced they have joined forces, Burke’s views on Ross have softened somewhat. He said while Ross “might be a bit too right-wing” on certain issues, he would consider joining the alliance as it will not have a whip system. You can be right-wing at 3 o’clock and be speaking left-wing at 3.30. [The alliance] could work once you have core values that suit all members. “I was a divil for breaking whips in Sinn Féin,” Burke added. He was a member of the party for 30 years before resigning to become an Independent three days are being re-elected in the 2009 local election. Burke said he would join the alliance if its members agreed to abolish water charges and the Universal Social Charge if they came to power. TheJournal.ie contacted Shane Ross for comment, but he had not replied at the time of publication. It’s thought the alliance hasn’t yet finalised its stance on a number of policies. 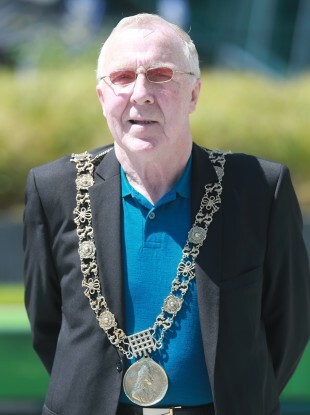 The mayor said he was “very impressed” by Michael Fitzmaurice and would be speaking to the Roscommon South Leitrim TD soon about potentially joining the alliance. Speaking on Prime Time this week, former Labour Minister Pat Rabbitte warned that a move away from the established parties could lead to instability after the next election and therefore economic instability. Email “'Shane Ross isn't THAT right-wing': Christy Burke's u-turn on new Independent Alliance”. Feedback on “'Shane Ross isn't THAT right-wing': Christy Burke's u-turn on new Independent Alliance”.